On Oct. 2, 1881, a small group of men met in the basement of St. Mary's Church on Hillhouse Avenue in New Haven, Connecticut. Called together by their 29-year-old parish priest, Father Michael J. McGivney, these men formed a fraternal society that would one day become the world's largest Catholic family fraternal service organization. 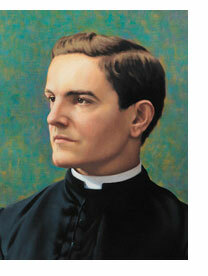 The Knights of Columbus was formed to render financial aid and assistance to members and their families. Social and intellectual fellowship is promoted among members and their families through educational, charitable, religious, social welfare, war relief and public relief works. The Knights of Columbus have four main objectives. 4.To provide a system of fraternal insurance.